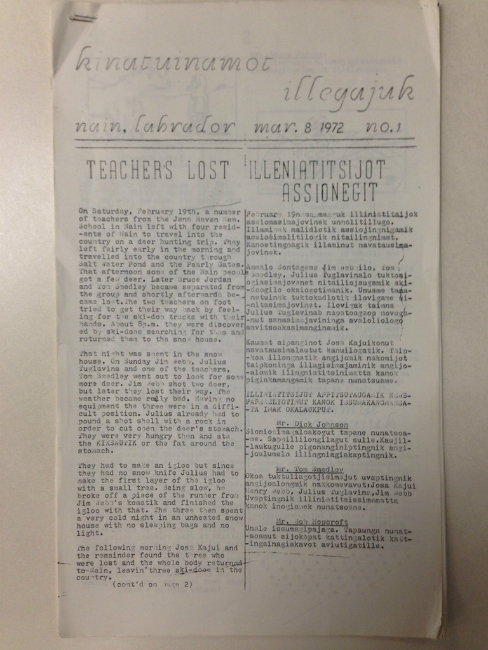 Labrador Inuit have an uncommon relationship with their historical documents. For many of us that live in the south, such documents are often kept under lock and key, removed from common usage. In Nunatsiavut, however, such documents are part of daily life. 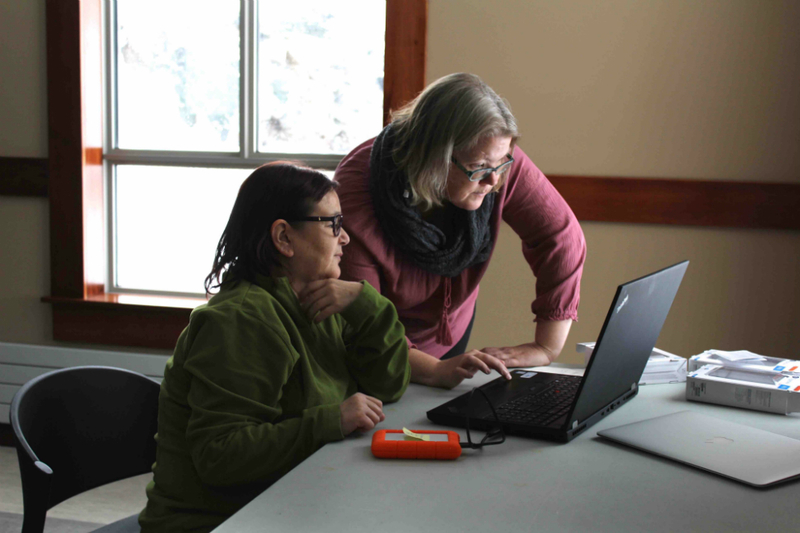 Amongst the church choirs of Nain and Hopedale, at the OKâlaKatiget Society (the regional Inuktitut broadcaster), and in local interpretation facilities such as the Stratchona House in Rigolet and the White Elephant Museum in Makkovik, archival records are a driving force for their activities. Yet, for every record that helps to animate daily life for Labrador Inuit, at least two more remain dormant. My role within the Tradition & Transition Among the Labrador Inuit Research Partnership is to help bring all these materials into common usage. 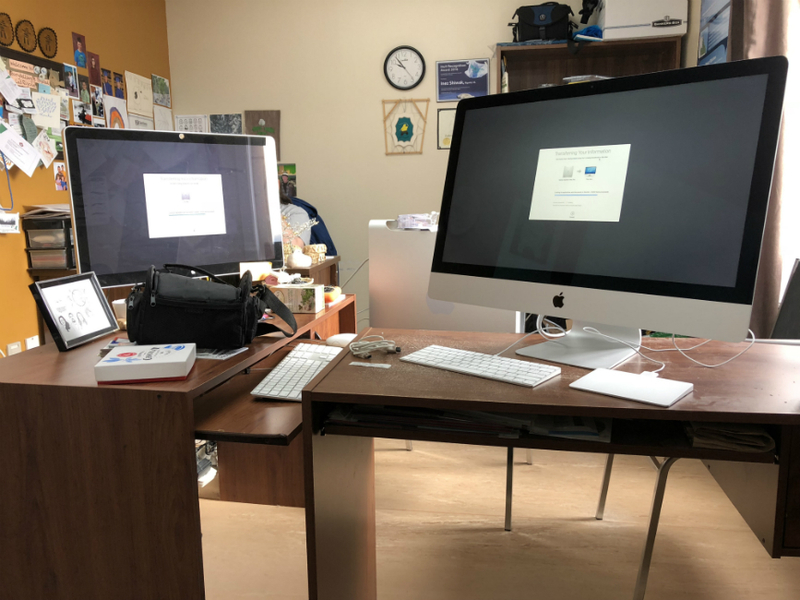 I work with branches of the Nunatsiavut Government, the OKâlaKatiget Society and a number of community and external partners, towards three goals. The first goal is to help develop a comprehensive Collections Repository of historical materials that will be maintained by the Nunatsiavut Government. Working from a list of archival projects identified during the first phase of Tradition & Transition, the initial content for this repository comes in the form of textual and photographic material from the Hudson’s Bay Company Archives, photography held at the Moravian Archives Bethlehem, textual material such as the Moravian publication Periodical Accounts, the OKâlaKatiget Society, kinatuinamot illengajuk, and the photography of James Robert Andersen. 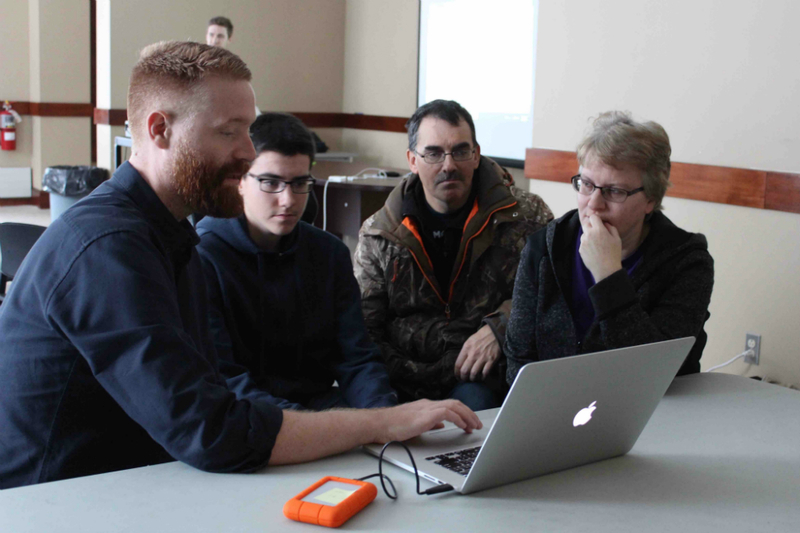 The second goal is to develop a network of community-based audio-visual archive hubs called the Nunatsiavut Cultural Media Network. In time, these hubs will serve as local points of access to the Collections Repository but will also help assist local archives and archive-related projects such as the Hopedale Moravian Mission Complex Library & Archive, the White Elephant Museum in Makkovik and the ‘My Word’: Digital Storytelling & Media Lab in Rigolet. While the core functions of these hubs will be to provide access and additional content, the full range of their operations will be determined by the communities themselves. The third goal is to shine a light on the rich archival record of Labrador Inuit through public outreach via publications and practical work. 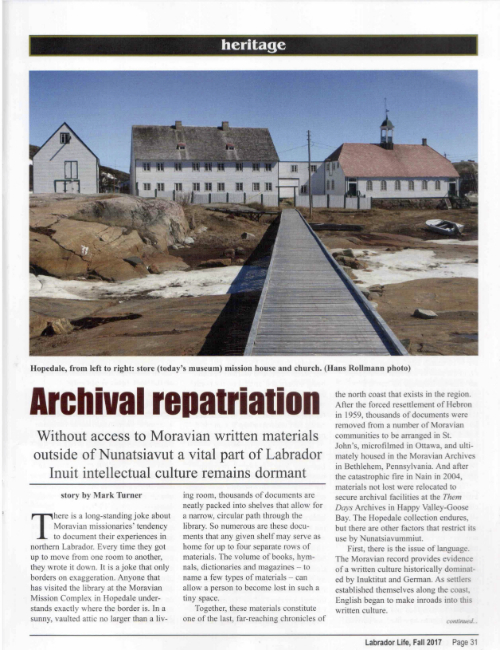 Writing about aspects of the Labrador Inuit archive have appeared in Labrador Life, NQ, and scholarly journals. I also work closely with Nainip Tittulautingit | Nain Brass Band to help them reanimate their tradition through historic materials. Archival records mean little without people to animate them. My aim is to help build a stronger relationship between Labrador Inuit and their rich legacy of documentation.